I realise that the odyssey of my German prefab house in the UK has been written somewhat haphazardly. I started the saga with the purchase and subsequent demolition of the house we had purchased in London in August of 2014 and lovingly named Casa del Dumpo because it was such a wreck. Then we hired Schwoerer Haus UK to build the new luxury modular home and it was arranged for me to make a factory visit in Germany in the spring of 2015. 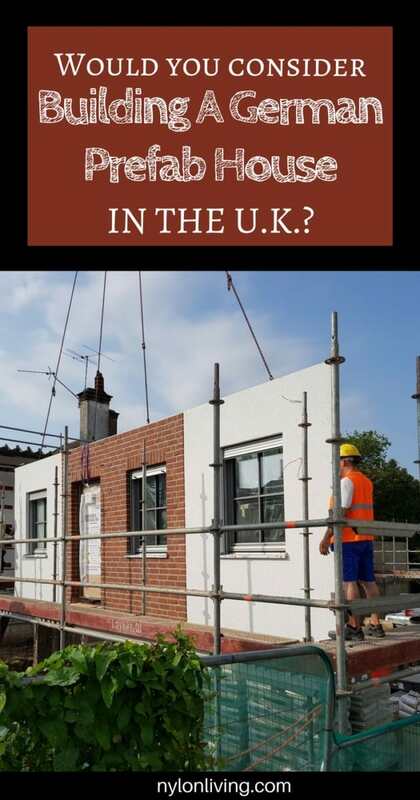 I was looking forward to my UK modular home design and things were looking rosy for the future of my German prefab home. Why yes, that is my front door being craned into place. Then radio silence on my part as I fell into the rabbit hole that is house building. I should have known nothing is ever that easy! We had so many issues that it took nearly 2.5 years for our new luxury modular home in London to be built. It was a very stressful time while we dealt with all the issues. For example, our London council was unfamiliar with the whole German prefab homes thing (at least on the domestic front). We spent a lot of time explaining the concept and getting council permission. As of January 2018, we are living in our beautiful new luxury modular home. I can think clearly about the modular home design experience again and reflect on our saga. Even though we are still doing related work, including snagging issues with the German kit home, the majority of the work on the German prefab house is done. 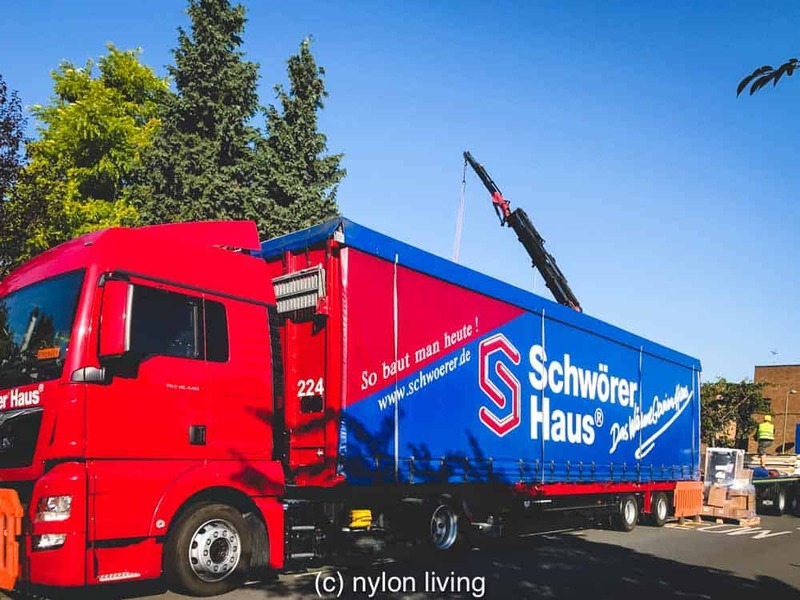 The giant Schwoerer Haus lorries pulled up on our street with our prefab house inside. Let’s go back to the very beginning of this odyssey! Do I have a long, strange story to tell you! Sadly, no Sirens or Cyclops in this odyssey though. 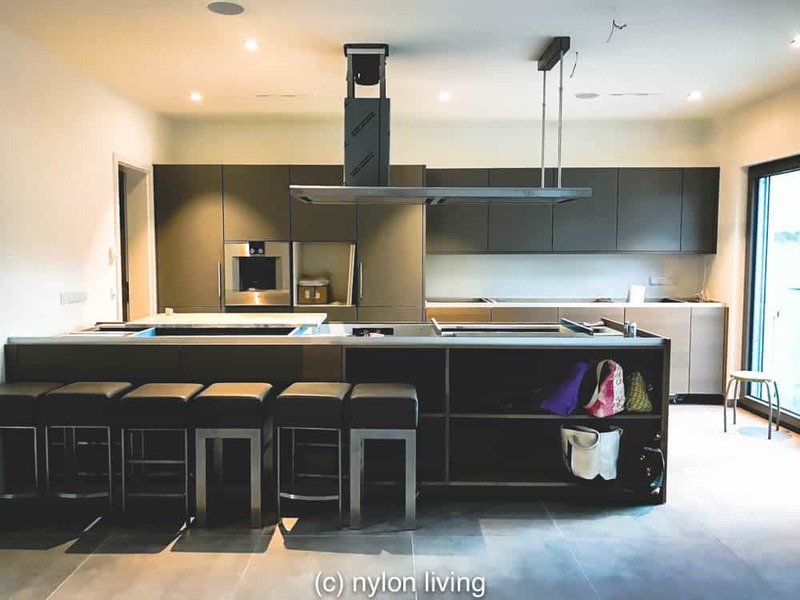 What did we want from our UK modular home design? Although a German brand, the Poggenpohl kitchen was installed by Poggenpohl UK. 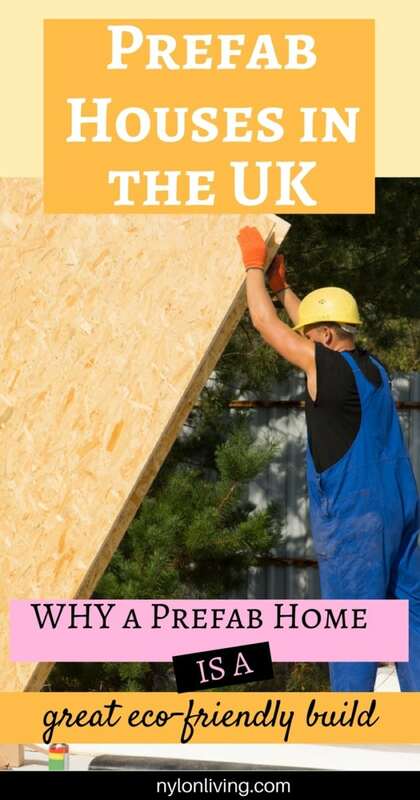 What did we get from our German prefab home in England? All of the above wishlist items were included in our luxury modular home plus some extra goodies. Thanks to the joy of building on London clay, our foundations had to be very deep. With such deep foundations, it seemed a no-brainer to add a basement to the German kit home plan. Schwoerer Haus UK recommended that we work with a German prefab basement company, Glatthaar, for the basement. Our basement is the footprint of the German prefab house itself. We were therefore able to put a fair bit of the square footage we wanted into the basement which let us have a bigger garden. When the basement is finished, it will have a plant room, a storage room, a cinema room, a bathroom and a family room. I say family room but mostly I think it will be the kids and their friends hanging out there. My husband and I will be considered interlopers to be turfed upstairs. We knew we wanted an eco-friendly home. We had had Victorian terraced houses and a detached house previously. Despite adding insulation to the walls, double-glazing to the windows, etc these houses just leaked heat. Not only were these houses expensive to maintain, in this day and age, there was no reason not to think of eco-friendly building alternatives because they are so mainstream. A wall panel being craned into place in our house. Our Schwoerer Haus in the UK is a prefab eco home. Here are some of the eco-friendly building ideas we incorporated in our modular home design. We have triple-glazed twist and turn windows. The french doors are likewise triple-glazed. The house is seriously noise-free and airtight. Heating in the house is controlled by a air-source heat pump. There is underfloor heating throughout the house. We have a controlled air-ventilation system which means that air from inside the house is filtered through the ducts to the outside. Fresh air from outside is then brought into the house. This constant ventilation means the air is clean and we shouldn’t have problems with humidity and damp. Both my husband and daughter have asthma and air quality is important to me. Timber frame houses have low energy consumption and C02 emission. A timber-framed house is kinder to the environment. 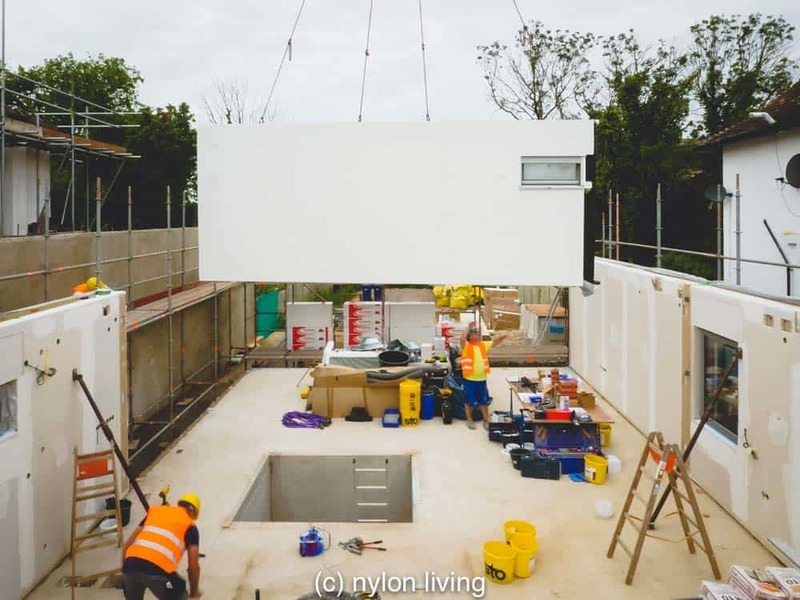 Our German prefab eco home in the UK doesn’t rise to the level of PassivHaus standards but we got most of what we wanted from our modular home design. We would also have had planning issues with putting in solar panels so we didn’t bother. Jumping through bureaucratic hoops is tiring business! I’ve learned so much from building our Schwoerer Haus UK German prefab home. I wish someone had told me some of these things before we started our German kit home in the UK. We had done some renovations but starting from scratch was a whole new game. For example, we got some tax breaks for building a new home but we also had to follow new home regulations for our modular home design. Was it worth it? I’ll let you know! In a series of future posts, I’ll walk you through our German prefab house experience which will hopefully provide you with guidance if you decide to follow a similar building path.